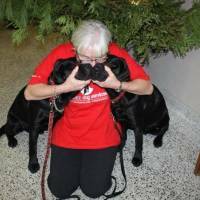 Elizabeth Bailey has been fostering for twelve years and in that time has raised puppies for two different service dog organizations. 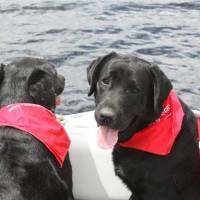 She is currently fostering two puppies for Autism Dog Services in Ontario. 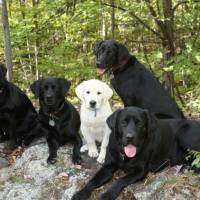 All but two of her former foster puppies have gone on to assist people who need the aid of a service dog. 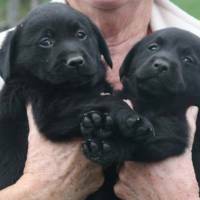 Tucker, Gibby, Fritse, Eddie, Luna, Java, Benson, Bella, Bentley, Ellie, Watson, Will, Rupert and George, all black Labrador Retrievers, except for Bentley. How Bentley, a yellow lab, got mixed up in this group is something that still makes Elizabeth laugh. 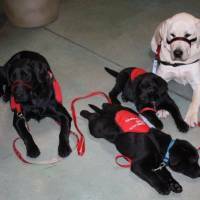 People raise service dog puppies for many different reasons. 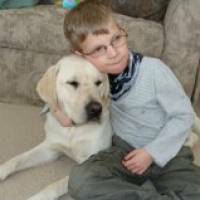 However, what all foster parents seem to have in common is an outgoing personality, according to Wade Beattie, Executive Director and Founder of Autism Dog Services (ADS). “They aren´t afraid to get out there with the puppy and enjoy the experience of socializing the dog. And they have time.” Qualities Elizabeth exemplifies. Fostering a puppy for a service dog organization is a 24/7 volunteer experience, usually lasting 10 to 15 months. During the fostering period, the volunteer is expected to socialize the puppy with other dogs, teach good house manners as well as provide exposure to as many situations in public as possible. 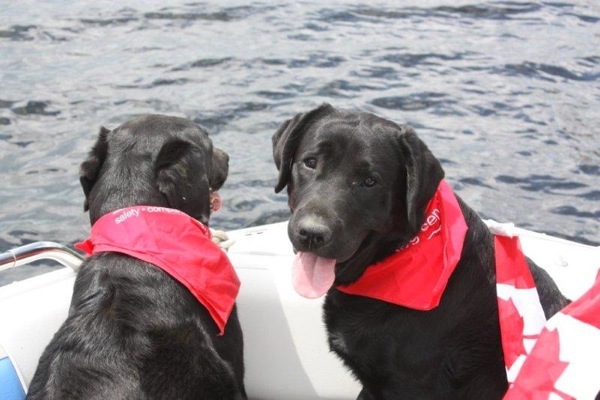 Whether that means attending theatre events, going to the dentist, walking through crowded fairs or taking them on a fishing trip, the dogs need to be relaxed in all kinds of situations. The puppies are also expected to learn a few specialized skills such as using escalators. 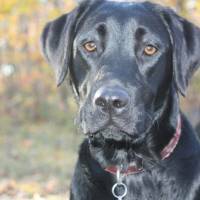 The aim is to desensitize the dogs to anything that may cause a distraction, for they must be steady and reliable when they are eventually working with the person who needs their skills. 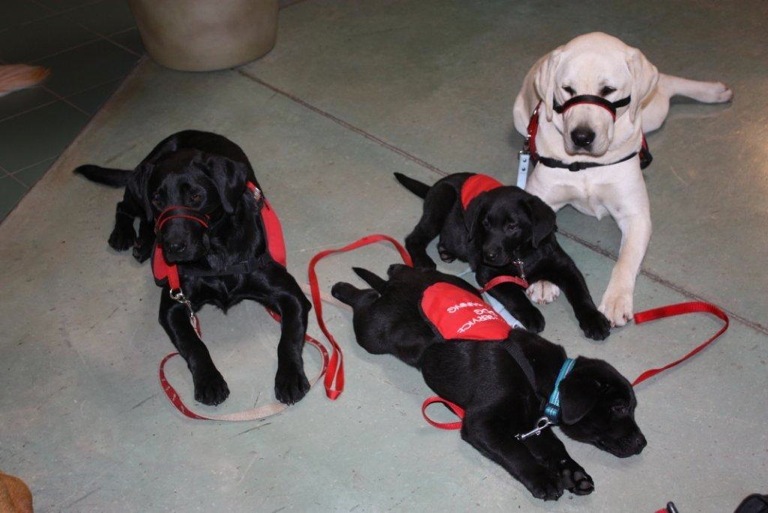 Service dog organizations hold classes to help foster parents with basic training. 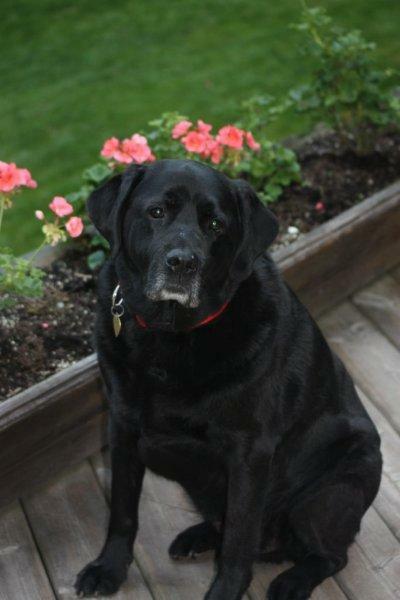 Once the pup has reached the age of 12 to 18 months, the service dog organization will recall the dog. Assessments to determine health and temperament will be conducted before formal training by specialized dog trainers begins. The time spent in formal training varies depending on the dog´s ability to learn and the type of service the dog will be performing. 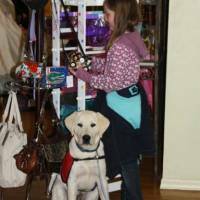 The assistance of service dogs has extended far beyond the traditional use by the blind, to include the deaf, those with mobility issues, seizures and autism, to name a few examples. There is no doubt the range of services will continue to grow. For Elizabeth, the trauma of recall has diminished considerably since she began fostering for ADS. Unlike most service dog organizations, where the dogs live in a kennel while in formal training, ADS dogs live in their trainer´s home. Months of kennel life can be very stressful for a dog and sometimes the reason behind a dog´s disqualification from the program. ADS cites an exceptional 80 - 85% success rate with their puppies who make it all the way through to achieve service certification. For Elizabeth there is huge peace of mind knowing her puppies will move from one home environment to another and their chances of successfully completing the program are high. Elizabeth gets a great sense of accomplishment when teaching her puppies their basic skills. Experience has taught her how to help the puppy avoid mistakes by creating a risk-free home environment so, for example, shoes aren´t left by the door. 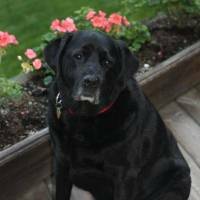 She recognizes that “The personalities of the puppies vary slightly, but the commands and the manner in which you teach them generally remain the same. With consistency and praise they all usually get to where you want them to be.” Elizabeth feels experience has made her more relaxed in her approach, which in turn, makes the puppies more relaxed and their learning easier. There is an enormous amount of pride when the pup learns a task, as it means they are both one step closer to their goals. 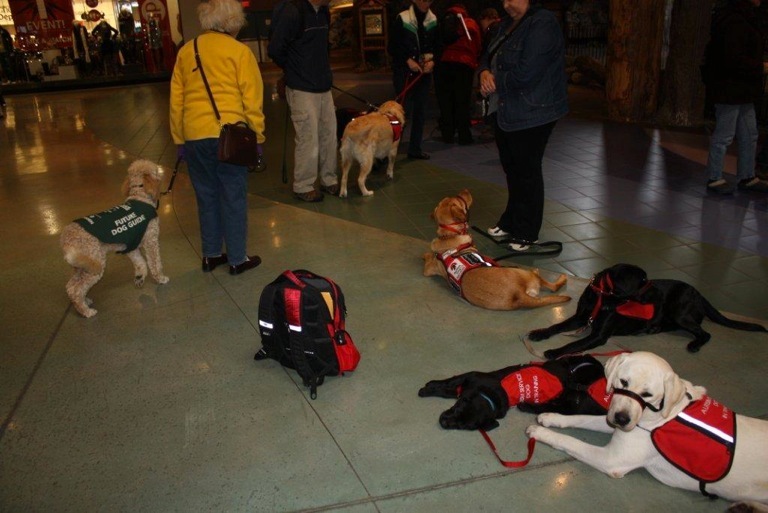 Taking the puppies outfitted in their “service dog in training” jacket to public locations is an experience. Not only do people always love to see puppies, but also having them in a location where dogs are not normally permitted draws extra attention. 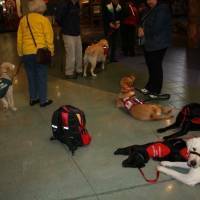 The fact that they are prospective service dogs brings a special acceptance and interest. As Elizabeth states, “What would normally take 15 minutes to do will take you an hour” because of all the people who want to stop, talk and meet the puppy. Foster parents are one of the front-line ambassadors of a service dog organization. For most foster parents this is an enjoyable role. Another major benefit for Elizabeth is the friendships that develop. 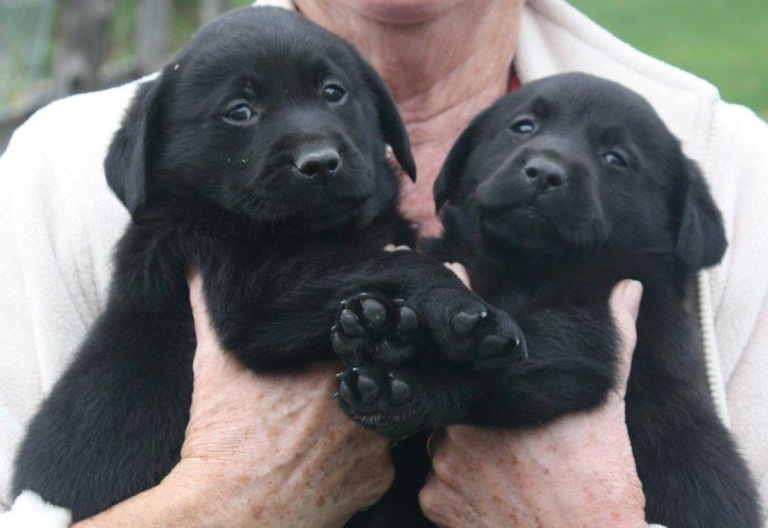 About 75% of the handlers who receive Elizabeth´s puppies maintain contact with her. Most of the contact is through social media sites, email, notes and photos. 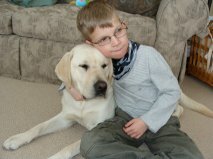 Foster parents and handlers will often meet up at the various functions held by the service dog organization. 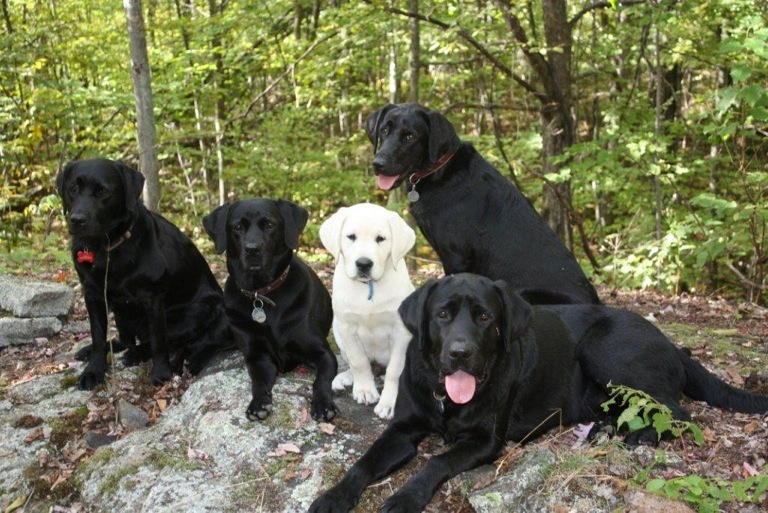 Elizabeth routinely provides photos and stories about the puppy´s early life. On-going stories from the handlers about incidents where the dog has helped out in a specific situation often bring tears. Some of the stories bring laughter. As Moffat states, “We are definitely more than acquaintances. Even though we don´t often see Elizabeth, I feel that she is a friend.” For this reason, Elizabeth feels the dogs are never out of her life. Friendships also develop between foster parents. Ten years later, Elizabeth still remains in contact with some of the foster parents of Fritse´s siblings. At first it began as a networking opportunity to monitor progress and discuss training issues, but it quickly progressed beyond that. Vacations together are now an annual event. 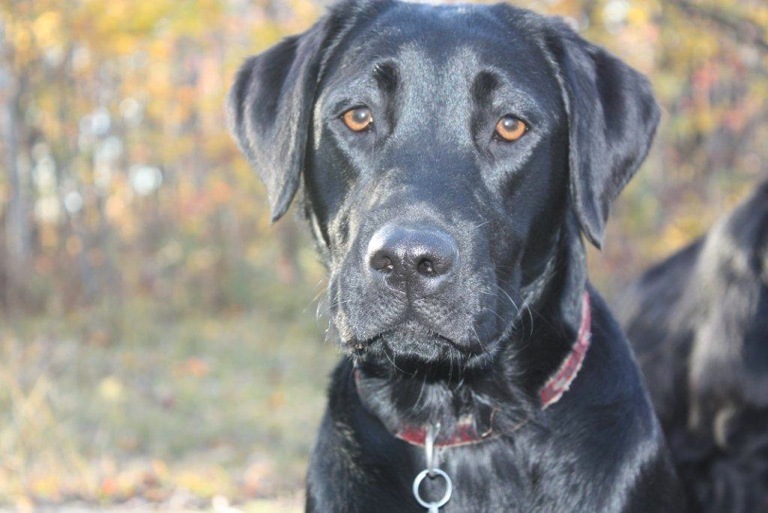 Two of Elizabeth´s dogs, Fritse and Java, were disqualified (DQ) from formal training for temperament issues. As a foster parent, who has worked many months to instill the expected skills, it is difficult not to take the DQ personally. However, it is also a mixed blessing. 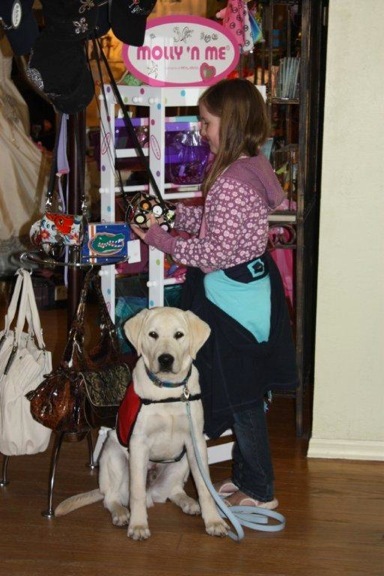 The service dog organization generally gives the foster parent the right of first refusal to purchase the failed service dog. So foster parents sometimes do get 'their' dog back - permanently and with legal ownership. Those reunions are full of joy. 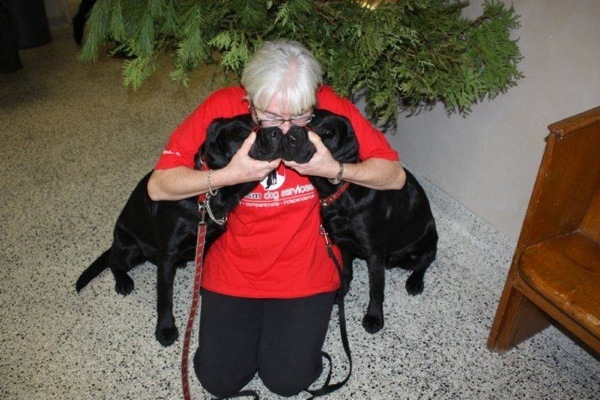 Three of Elizabeth's dogs - Tucker, Gibby and Eddie - all guide dogs for blind handlers - have retired from active service. 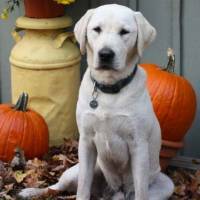 While Tucker and Gibby remained with the handler's family, it was impossible in Eddie's case. 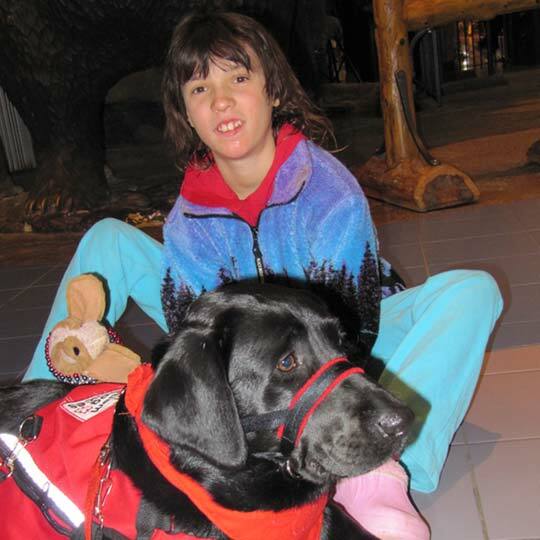 Elizabeth was contacted by the service dog organization and arranged for a neighbour to adopt Eddie. So now Eddie is spending his remaining days in a home environment similar to the one he was accustomed to in his years with his handler. He frequently visits Elizabeth and her dogs, but she can always tell he is quite happy to return to the quiet of his own home down the street. In many ways fostering a service dog puppy is like raising a child. We provide love and guidance as we strive to instill the values to make our children caring, responsible and independent adults. When the children are grown, we watch them take their place in the world with great pride. We never stop loving them, nor lose contact with them. We share in their on-going successes and failures. And we wouldn´t trade the parenting experience for anything, as it adds so much meaning to our life. Editor´s note: Some names have been changed for privacy reasons.